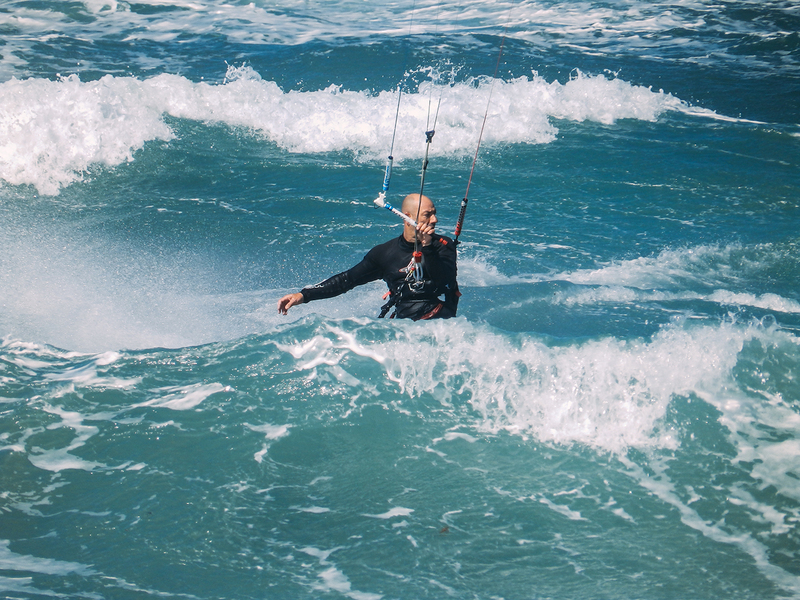 It was 2003 when Dimitris started kitesurfing, the time when this rapidly expanding watersport made the scene in Greece. He started kiting like a summer activity but soon he realized it was more than a hobby to him. In 2009 he decided to become a professional instructor and moved to Paros where he stayed for 6 months and within a short time he became an IKO 2 Level instructor. From that point he started teaching in different and some of the most busy spots in Greece such as Paros, Kos, Lefkada (Lefkas) and Athens (Loutsa). Being an experienced instructor for years he became co-owner of ‘Santorini Kite School’ where he keeps spreading his vivid passion for kite day by day, not only to beginners but also to advanced kiters and wave riders. He speaks fluently Greek, English and Italian so he can teach in all three languages.